If you work in an office and you sit down in front of a computer all day you’ll eventually destroy your back. Over time it will also mess up your posture and you’ll end up looking like you’re hunched over all the time. That is why a number of leading health and fitness experts have come together to bring you a superior ball chair, which will improve your back heath dramatically in a short amount of time as well as providing you with a number of other benefits. Gaiam’s Balance Ball Chair will come with a supportable base, but the beauty of this product is that you’ll be able to take the ball out to exercise on should you wish to do so. If you have an adjustable desk you could even use the balance ball on its own without the support base to help you build up even more strength. 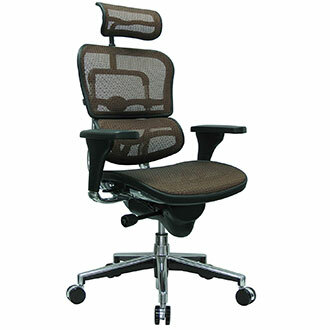 As well as keeping your back healthy, you’ll also find it’s the most enjoyable chair to use on the market. 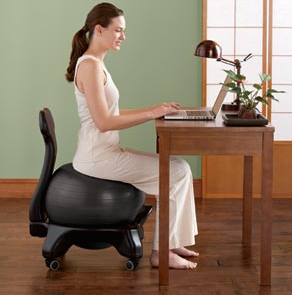 Below is a gaiam ball chair review with full description. Sometimes you’ll find products rated close to 5 stars even though they’ve only been bought by a handful of people (including the seller’s friends and family), but this product has had nearly 1,500 people rating the product close to 5 stars. So, you know it’s more than just popular! It currently has a Best Seller’s Rank of #75 in the Sports & Outdoors category. When you take into account how many products you’ll find on Amazon that is unbelievable. It will improve your back and neck health. It will revolutionize your posture for good. It will work your small stabilizer muscles. It’s the exact same high-quality ball you’ll find in a gym. It will aid you in losing weight by helping you burn more calories per day. It will relieve any pain you’re currently suffering from. If you’ve already used one of these balls in a gym you’ll know how comfortable they are to sit on. You can also decide how much air to pump into the ball until it’s at the exact size and feel you’re happy with. It’s a lot easier to move from side to side when you’re reaching for something because the ball will move with you, whereas with a regular chair you’ll always be seated in the exact same spot which can become uncomfortable when it stretches your lower back muscles. It obviously doesn’t look the exact same as your standard office chair, so I’m sure you’ll have a few curious fellow workers asking you lots of questions about it. We’ve already mentioned that it comes with a balance ball you’d find in a gym which measures in at 52-centimeters, but the plastic base with movable wheels looks stylish too. 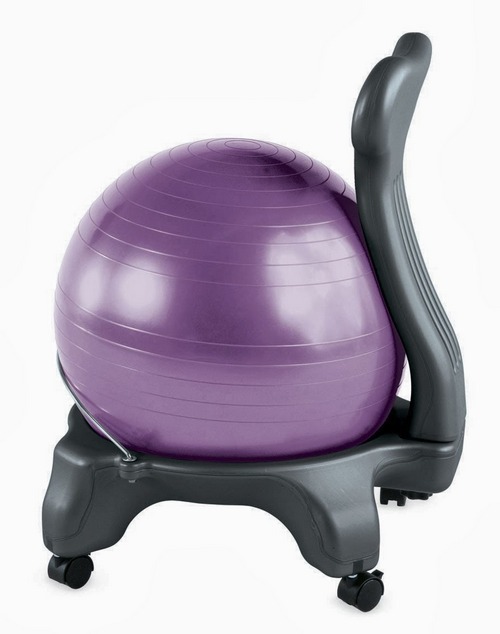 Gaiam’s Balance Ball Chair costs just over $60 dollars and comes with free shipping. If you want it delivered internationally they also have very fair rates so everyone can enjoy it.